(Bridget Bowman, CQ-Roll Call) Former astronaut and Navy veteran Mark Kelly announced Tuesday that he is running for Senate in Arizona, looking to take on GOP Sen. Martha McSally. Kelly is married to former Democratic Rep. Gabrielle Giffords, who was seriously injured during a shooting at a constituent event in 2011. 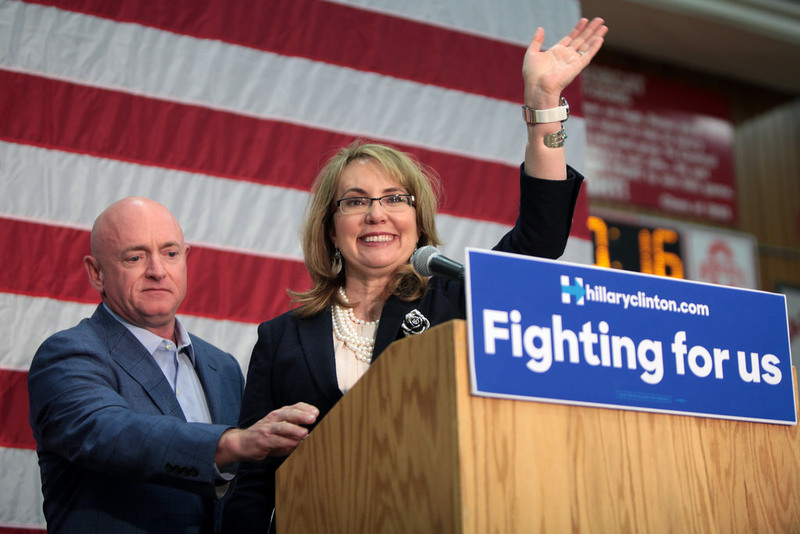 Kelly and Giffords have since been vocal advocates for gun control. McSally will be among the top target for Senate Democrats in 2020 in a state President Donald Trump won by less than 4 points in 2016. The former Tucson congresswoman, who represented the same district as Giffords a few years after the shooting, was appointed to the Senate early this year. She replaced GOP Sen. Jon Kyl, who had been appointed a few months earlier following GOP Sen. Jon McCain’s death. McSally’s appointment came months after she lost losing an open Senate race to Democrat Kyrsten Sinema. Whoever wins the Arizona Senate race next year will serve out the final two years of McCain’s term. And Kelly is not likely to be alone in the Democratic primary. Democratic Rep. Ruben Gallego, who represents parts of Phoenix, has been considering a run. Gallego is also a veteran, serving as a Marine in the Iraq War. Grant Woods, a former Republican who served as McCain’s chief of staff, announced last week that he would not run for Senate. All three men had met with the Democratic Senatorial Campaign Committee about the race.